REdesigner at City Concorde in Luxembourg! 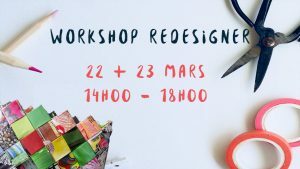 Free REdesigner wallet workshop at City Concorde as part of their weekend of creators. 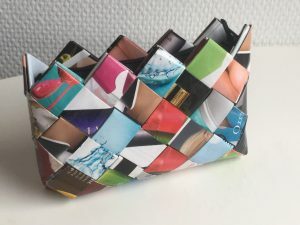 The wallet will be created from recycled paper. The workshop will last 3-4 hours. All the materials will be provided by REdesigner. Participants do not need to bring anything. Do not miss this unique chance to learn the REdesigner technique for free! Free REdesigner jewel workshop at City Concorde as part of their weekend of creators. 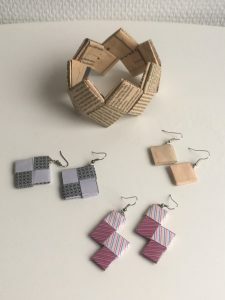 The jewels (1 bracelet and 1 pair of earrings per person) will be created from recycled paper. The workshop will last approx 1 hour per person.